What a beautiful Gunnar Roadie! 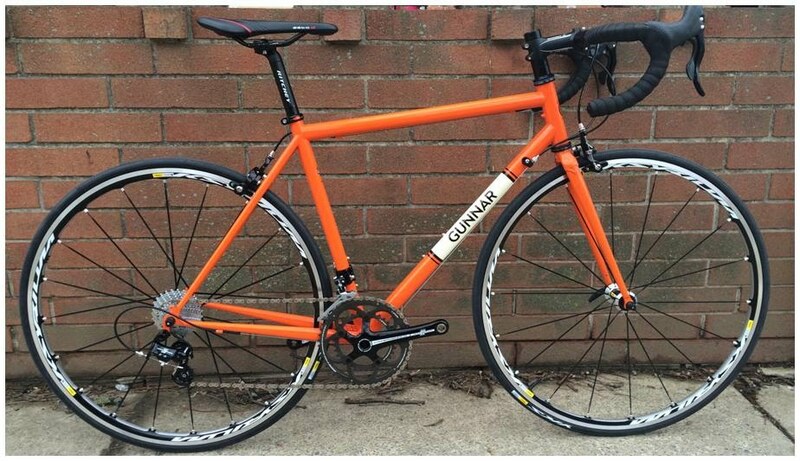 We just love the orange steel frame! This is a project we worked on last Spring for a guy who knew exactly what he wanted. He had been dreaming about a solid, lightweight steel road bike for a long time. The color scheme was something he had been longing for ever since childhood. Last Spring his dreams came true, and we put together this magnificent Gunnar Roadie for him. In this case, our job was easy, he already knew what he wanted. He had a few questions, and asked for a few recommendations, but he already had the vision. 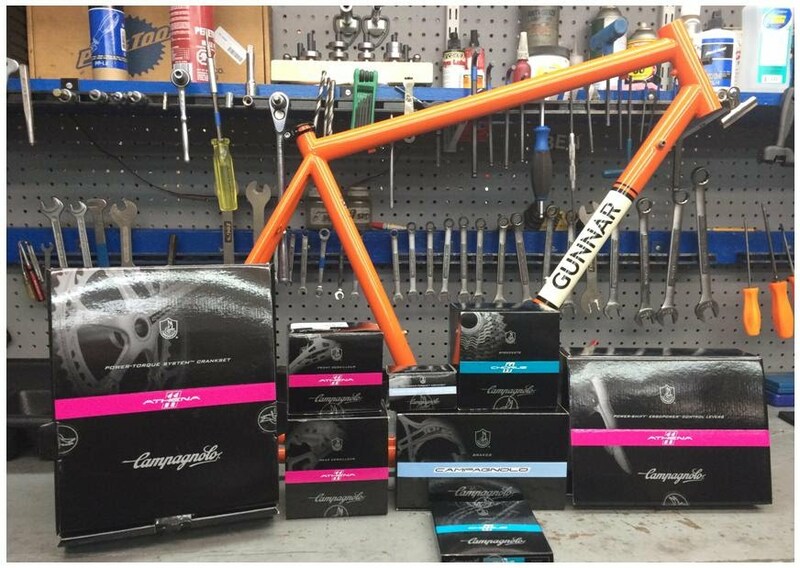 We advised him in selecting the best frame to suit his needs, and we did a proper fitting, utilizing the Fit Kit bicycle fitting system, which comes highly recommended by Gunnar. Then, we placed the order for a frame. In this case, the Gunnar stock size frame was perfect; no custom geometry. Although the paint color, and panel with the pin stripes was chosen by he customer. The build on this bike is pretty solid. Campagnolo Athena derailleurs, shifters, and crankset, cassette and Campy chain. Mavic Ksyrium wheelset. Ritchey stem, seatpost and bars. Cane Creek headset. The total bike weight was not much more than 18.5# On the test ride, it felt like a rocket! And so smooth! The Gunnar Roadie is one lively, fast bike.